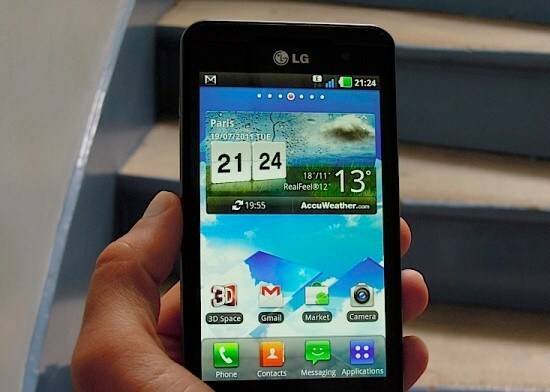 It’s a total shame for the LG Optimus 3D customers. Its surely one of the best Android running smartphones out there. But it’s the time for Gingerbread only for them! It will be released by LG officially in the next week. The update brings not only the usual set on Gingerbread enhancements over Froyo but a number of extra improvements too, like faster data speeds and improved multimedia experience. This Android 2.3 update will push the download speeds over 3G with HSPA+ to 21Mbps (over 14.4Mbps). The upload speed of the LG Optimus 3D will remain 5.76Mbps. The 2D video camera, which shoots up to 1080p, receives the same image stabilization functionality that the 3D video camera has with the current software. The Gingerbread update will also improve the video recording quality a little. There's a new 3D Video Editor, which as the name suggests will let users edit their 3D videos right on the device. You can also edit regular 2D videos there. Startup time for the Gallery app on the LG Optimus 3D has been reduced. LG Optimus 3D MP3 playback time will increase too. The update will begin its rollout next week in Europe for unlocked phones, other markets will follow suit by the end of the year. While LG Optimus 2X customers are looking for Android Ice Cream Sandwich, so Gingerbread for Optimus 3D is not a good move for LG I think.